Sporting too neutral colours that include clear and black peal, this is the latest case from Belkin which offers a protective plastic shell for the iPhone 4. 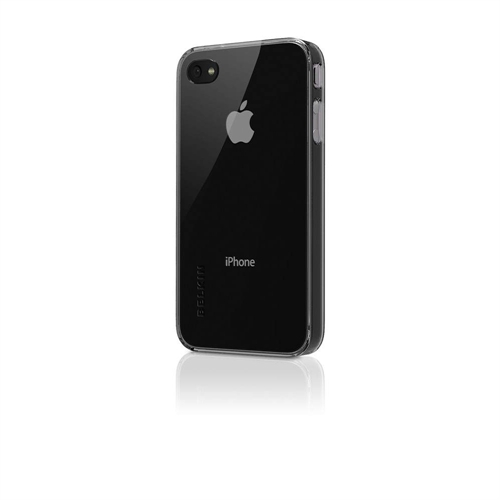 Unlike some cases, the Belkin Shield Micra protects all aspects of the iPhone, ensuring overall protection from knocks, bumps and drops (god forbid!). The installation is relatively quite easy as you slide your iPhone 4 into the Belkin Shield Micra and once again, you have all access to buttons, ports and even the camera. The only issues with the Belkin Shield Micra is depending on your type of dock, you may have some issues in connecting your iPhone to this accessory. With a brand that shall remain unmentioned, sliding it into the dock was quite difficult but then again, it worked fine on the Apple dock. Go figure! In terms of design, the Belkin Shield Micra looks very impressive and although we tested the clear unit, it does add an extra layer of style to your iPhone as opposed to the traditional look. It may not be the most "out there" design but it does what it is suppose to do, protect. With so many cases available from Belkin and other distributors, it's very difficult to find the right case for you and considering that most items are either blister packed or unable to be opened in the store, it's definitely worth investigating a few reviews online to see what others are saying. For the Belkin Shield Micra, this is definitely one of the better cases for the iPhone, especially as there were no issues with the buttons, except perhaps the dock issues or third party accessory. Even so, it's a great looking case that is quite easy to install and is quite snug. Check it out!